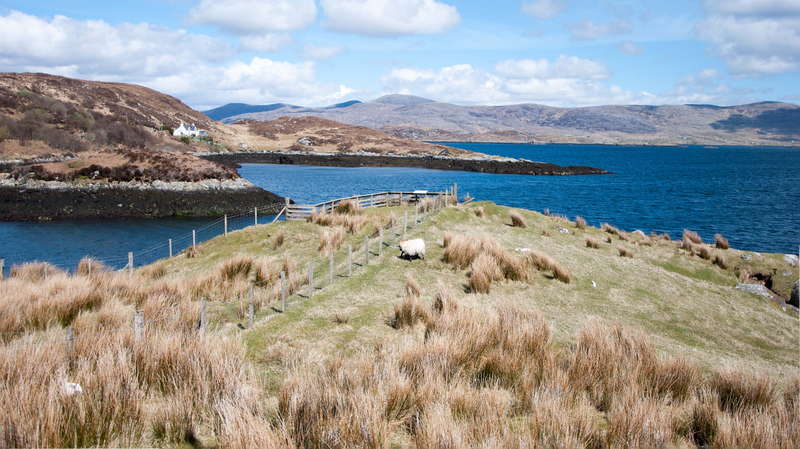 This is Part 1 of a 3 part trip report from our visit to the Isle of Harris during the end of April 2018. 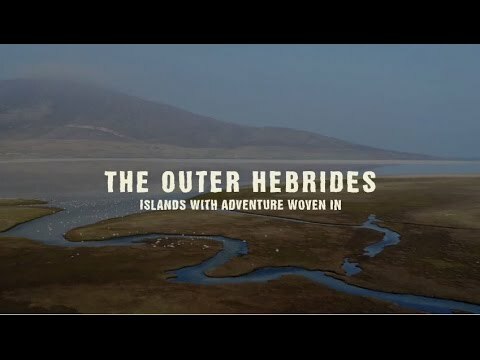 Would love to hear from readers if they own any Harris Tweed products and / or visited the Outer Hebrides. Harris Tweed is a tweed cloth that is handwoven by islanders at their homes in the Outer Hebrides of Scotland, finished in the Outer Hebrides, and made from pure virgin wool dyed and spun in the Outer Hebrides. One of the many reasons Marion Campbell is an icon is because she single-handedly oversaw the entire process starting from the rearing the sheep that provide the wool, creating her own natural dyes, spinning, weaving and creating the final Tweed length. The only task she wasn't in charge of was stamping her tweeds with the Orb mark. Her participation in the whole process is captured through a set of fascinating photographs on display at the exhibition. We also saw her equipment, including the spoon she used to gather crotal (a type of lichen) from coastal rocks to create a rich brown dye. 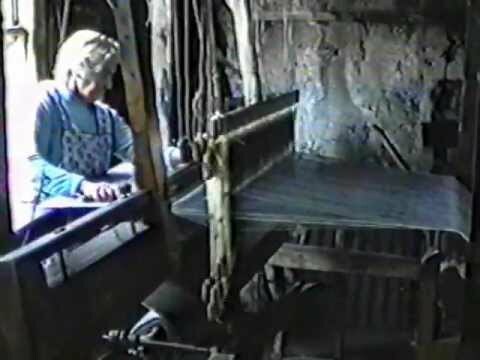 Thanks to Youtube, there is also a video of Marion using the same loom we saw in person shot in 1987 when she was 75+ in age. What an inspirational figure! Additionally, her work was so much in the spirit of community that she did not collect the medal from Buckingham Palace in London stating that the medal belonged to the whole of Harris and not to her individually. Becca (as I knew her having met the day before on a Tarbert-bound bus) is an award-winning present day weaver and explained to us (in her home's weaving shed) how her Hattersley MKII loom works in a very logical manner (reminiscent of my computer architecture lectures). She was working an absolutely beautiful length of tweed and the images below shows the different stages in which an in-progress tweed looks like. She currently sells lengths of Tweed on her website but we cannot wait to buy Harris Tweed lampshades that she is planning to produce and sell in the future. Additionally, she is also a very cool person to chat with and we shared many laughs discussing our common interests (namely tea and Atlanta's World of Coca-Cola museum). Another interesting facet of visiting Becca's workshop was a Gaelic comic strip titled "Becca a’Breabadaireachd" or "Becca the Weaver" written by the Primary school students (one for the Gaelic readers to enjoy, we were given a translation by Becca, the sounds and songs are amazing). It is no wonder that Harris Tweed products have such high quality and in high demand by top-end fashion designers wordwide as seen in the Croft to Catwalk display at Clo-Mor. Looking at the passion and community spirit of Marion and Rebecca up close, I can be confident in the future of this iconic Scottish fabric. My wife has recently got into Harris Tweed products, and now owns a couple of hand-bags, which she loves. @Tooma, their handbags are pretty amazing (my partner owns one as well). We also bought a pair of beautiful earrings for her and a Harris Tweed tie for me this trip. The one thing we didn't mention in this post is how the colours change completely under sunshine and look more vibrant. That's something we picked up at Clo-Mor as well.